Charlottenborg and its gardens were constructed in the 1670s for the son of Frederik III but since 1753 the palace been the home of Royal Danish Academy of Fine Arts. In part it was rebuilt by C F Hansen in the 1820s but the exhibition rooms date from the 1880s and it is the windows of the those buildings, facing towards the canal of Nyhavn, that have been barricaded with more than 3,500 life jackets collected from refugees on the Greek island of Lesbos. 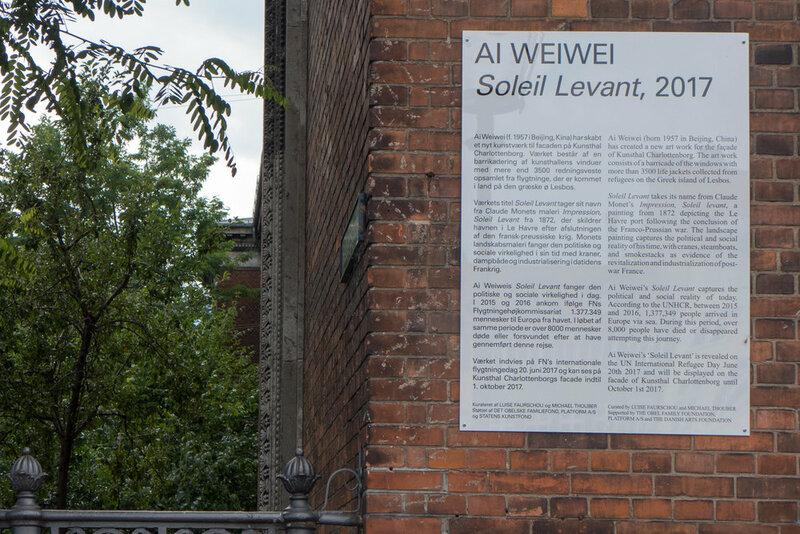 The work by Ai Weiwei will remain at the Kunsthal Charlottenborg until 1st October 2017.